Kimberly was kind enough to send me a few samples from BOTH of her Christmas collections! I was so excited to try them out because I've been nothing but impressed with the BFTE shadows that I've purchased. I'm going to show you swatches of the shadows that she sent me and I can't wait!! Kimberly is doing something really neat for those who are trying to watch their holiday spending (or are just plain on a budget) You can purchase the full size collections or she has them in sample sizes as well! I absolutely LOVE that she is doing that! I will link both full size and sample at the end of the post! This shadow is described as "A shimmery gold shadow with flashes of white; like a hot, white gold"
I do agree with the description! 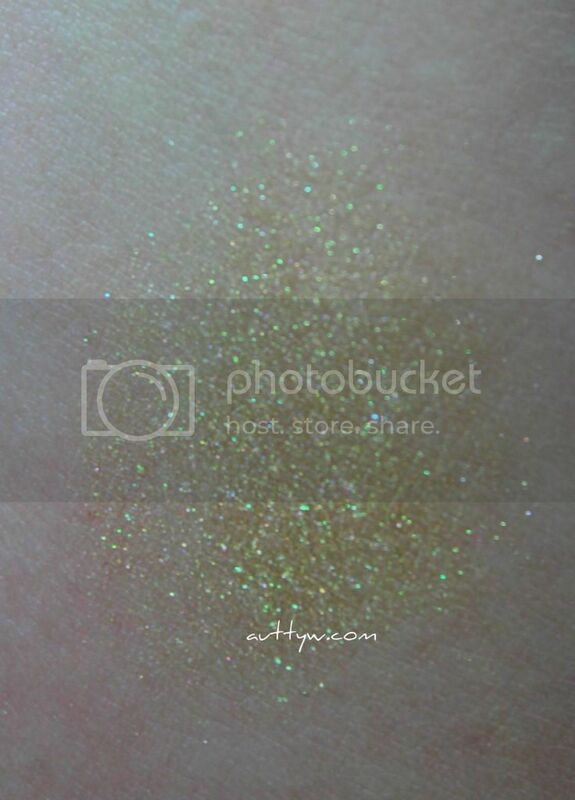 This shadow is very light and while I couldn't build it up to the opacity of the swatch on the website (then again I didn't try) I wanted to savor it in all it's beauty how you see it. This shadow is very light, but it can be built up as well as you could use it for highlighting your inner corner or if you're feeling brave...under your brow! 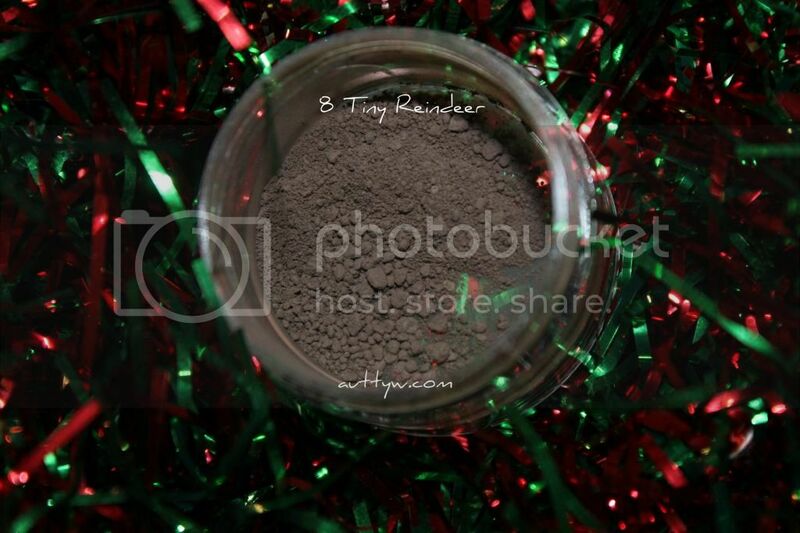 This shadow is described as A sleigh-load of silver and multi-color micro sparkles within a dark silver base. This shadow made me think of a charcoal silver. I will warn you, when she says there is a "sleigh-load" of micro sparkles she means it! 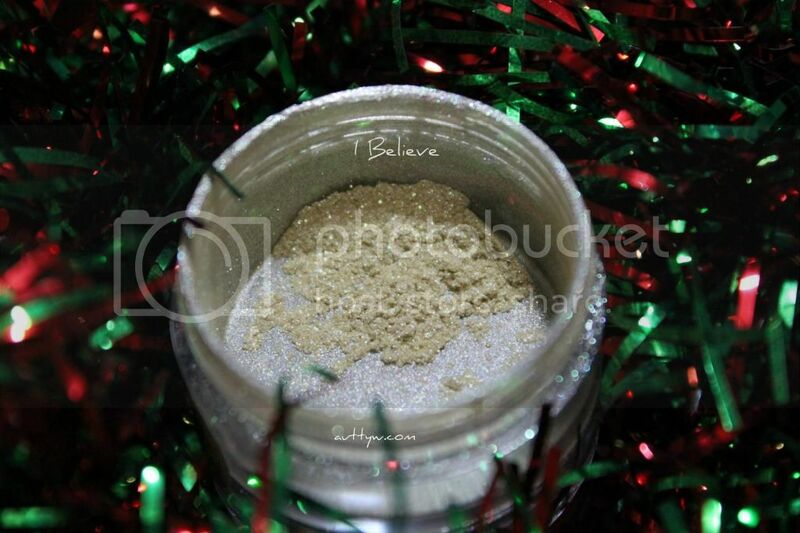 This is one of those shadows that you would be better using something under your eyes when you apply it because the glitter will go EVERYWHERE. 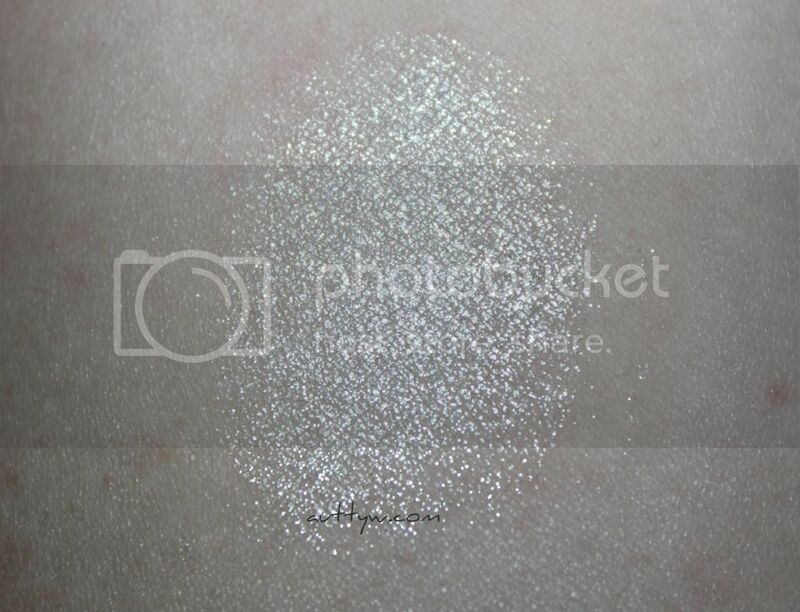 It's probably best not to wear what you're planning to go out in because you will be covered in shimmer! Not that there is anything wrong with it! 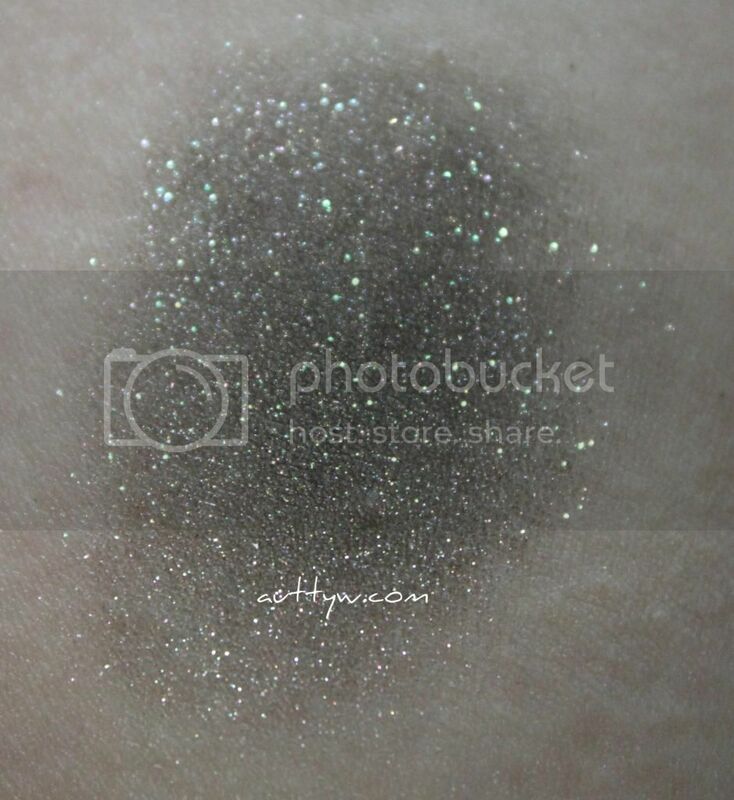 This shadow is seriously so gorgeous! I can tell you that, that description is 100% true. I have a soft spot in my heart for matte browns and this one just takes the whole cake! 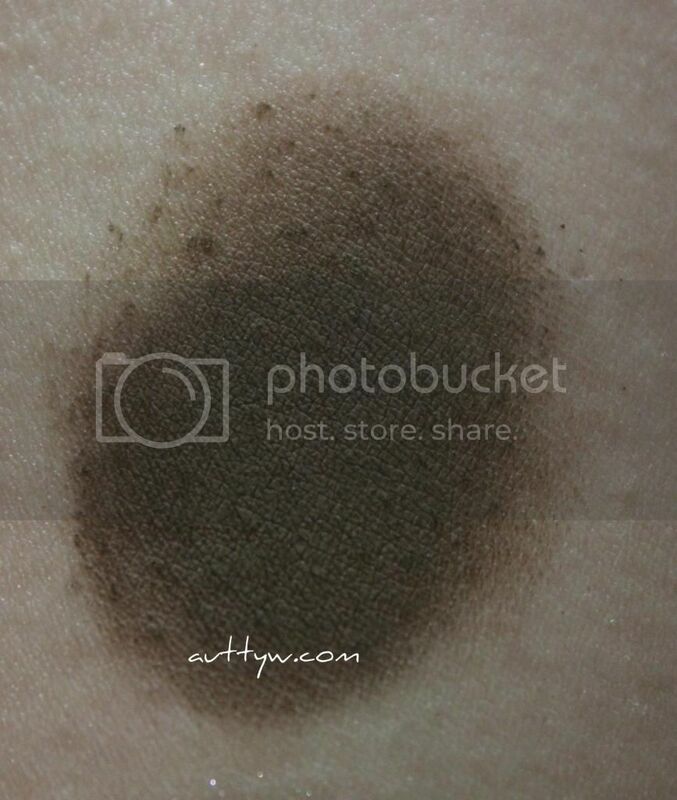 This makes me think of milk chocolate or well a reindeer's coat of fur. It's just a stunning shadow! I can see me getting quite a lot of use out of this! 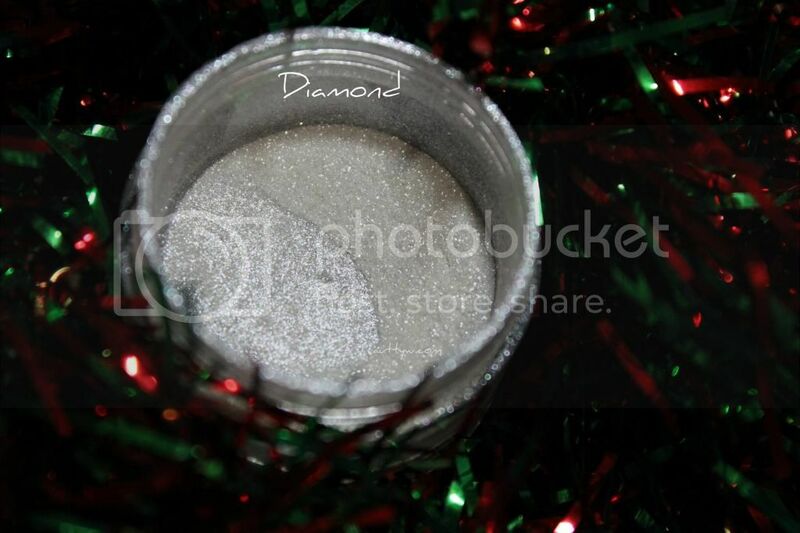 There really isn't a description of diamond but I will tell you that it is a STUNNING shimmery white shadow. It's a definitely must have! All of the shadows with the exception of 8 Tiny Reindeer are chock full of sparkles so I would definitely keep an eye out for the sparkle fall out! Other than that each of the shadows apply smoothly and like butta. I had no problems swatching or blending the shadows on out my arms. Unfortunately I haven't put together a look for you quite yet but when I do I shall post it! There is an extra little treat though that Kimberly is giving away! Those who order the full-size “Santa” set will receive Coal in their order, and those who order the full-size “Reindeer” set will receive Diamonds in their order.